The DX1 Input System is the ultimate input experience for those wanting complete control over creating individualized input on their PC. The Pad connects to the computer via a USB cable. The pad contains two buttons. 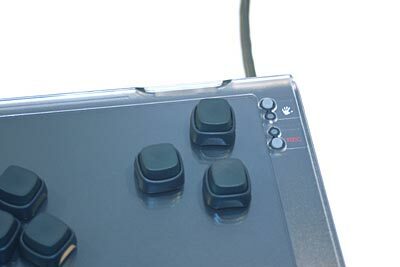 The button next to the Ergodex icon brings up the software at a single touch. The second button is a Record Button, which allows Macros to be assigned to Ergodex Keys. 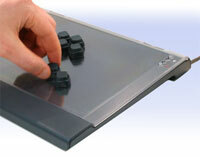 The removable Tray provides a surface for the placement of the Keys. The Tray is washable. And because it is clear, templates or skins can be placed beneath it to suggest key placement. Each DX1 System comes with 25 numbered Keys. The Keys have an adhesive surface that allows them to be firmly attached to the Tray. Although the adhesive surface provides a strong bond, Keys can be moved by twisting them. If the adhesive surface becomes dirty it can be cleaned with a damp cloth. Keys can be assigned single or multi key Macros. DX1 Keys can be assigned blocks of text and can also launch web sites. A set of pre-printed labels comes with every DX1 Input System. Also included is an installation CD which contains the software to power the DX1 Input System. Enabling / Assistive Solution - Some people who have trouble using traditional keyboards may find the infinite versatility of a completely 'rewirable' and 'reprogrammable' keyboard to allow them to make use of a computer where other solutions have failed. Increasing Your Productivity - Many standard programs have several levels of menus with literally hundreds of functions (i.e. 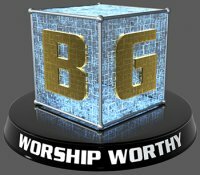 Word, Photoshop, Illustrator, etc.) - being able to access nested menus and functions, and even a series of commands with a single customizable keystroke will not only reduce your repetitive keying, but improve your productivity. Enhanced Gameplay for Gamers - People who play various games can now create custom interfaces for their favourite game, improving their performance and also, let's face it, it is cool! Research and Development - Prototype design of new interfaces for equipment and instruments can be accomplished with this versatile product - no need to build prototypes! Mountain View, CA - 16 November 2005. Popular Science announced that the Ergodex DX1, the first in a new category of input device that features movable programmable keys, has won Popular Science's 2005 Best of What's New Award, in the computing category. 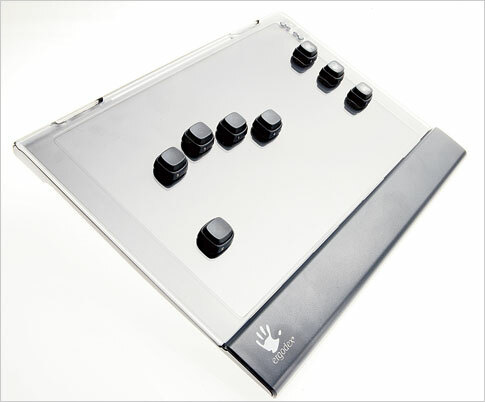 The DX1 consists of a Pad on which you place Keys anywhere you want and then you tell the computer what you want the Keys to do. DX1 Keys can be assigned to match a single keyboard key, such as the letter "a", or to perform a more complex macro containing a series of keystrokes. The Keys are also "application" aware, so that as the user changes from, say, email to Photoshop, the Keys automatically change to the macros for Photoshop. Even though the keys contain advanced electronics, they have no batteries and no wires; they communicate wirelessly with the DX1 pad. DX1 Keys attach to the DX1 Pad with Ergodex' "Molecular Velcro", an inexhaustible adhesive that allows a key, once set on the Pad, to adhere tightly. A slight twist loosens the Key from the Pad so that the Key can be moved or micro-positioned for optimal placement. "What a terrific honor. Little innovation has occurred in the tactile part of the user interface since the development of the mouse, more than 25 years ago. DX1 technology opens a whole new level of convenience and power for people," said Ergodex CEO Larry Kelly. "For Popular Science to place it in the same league as the Ferrari F430, the Nokia N90/91 phones, the Mars Reconn Orbiter, and the Cell chip, among others, is indicative of the impact that the DX1 delivers for its users." "During the development of the Ergodex Sensory Platform (ESP) on which the DX1 is based, we prototyped several different technologies to get exactly the right match of performance, fidelity, convenience, power, and reliability," said Scott Rix, CTO of Ergodex. Some have referred to the DX1 as "the closest thing, other than using one's mind, to working with a PC". The DX1 has already found its way into four markets: knowledge workers, such as Photoshop or CAD users, who use complex software for several hours a day to turn ideas into new products or services; "fast twitch" applications, such as PC gaming and financial securities trading, where speed and reaction time are important along with having complex functionality available on a single keypress; IT applications, e.g., SAP or Oracle applications, where difficult or hard-to-remember or repetitive operations can be combined on a single key; and health care and assistive technology where, for physical or neurological reasons, use of a standard keyboard is cumbersome, or even painful. DX1 Input Pad, DX1 Tray, 25 Numbered DX1 Keys, Pre-printed key labels, Blank Labels, an installation CD, and a Quick Start Guide. If you opened this page from our online catalog, close this window to return to it. If you opened this page from outside the ErgoCanada.com web site, click here to enter our online catalog. Please bookmark this site and check back often, as we are adding new products regularly. Check out our other portals at the Micwil Group of Companies web site. All materials copyright © 2005 Micwil Computer Consulting.